Another common general dental procedure we perform is root canal therapy (also known as endodontic therapy). This allows our dentists to try and save a patient’s tooth that has been severely damaged due to decay, disease or injury. All of our dentists have immense experience within this field, however root canal therapy is a particular passion of Dr Sandy Iyer’s. Sandy also enjoys working closely with an endodontic specialist for more complex cases, ensuring that you’re always in the best hands. Root canal therapy is a rather simple and pain-free procedure that involves removing an infected tooth’s pulp and nerve. The nerve chamber is then thoroughly cleaned to remove harmful decay and bacteria, before the area is sealed once again. When treatment is successful, both the tooth and surrounding tissue is saved, eliminating the need for extraction. At KR Dental, we always endeavour to save a patient’s natural tooth where possible. You may be required to make several visits to the dentist, so the root canals can be cleaned and the infected pulp can be removed successfully. 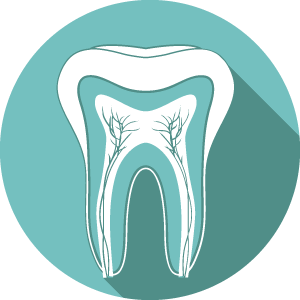 After each visit the dentist will place a temporary filling on the tooth, as a tooth that needs root canal treatment is at increased risk of fracture. Sometimes, your dentist will even recommend the additional protection of an artificial crown. If you’re experiencing any of the concerns listed above, please schedule an appointment at KR Dental by calling (07) 3883 2434 today. Don’t put your tooth at further risk of decay and infection – let our friendly and professional team help you as soon as possible.